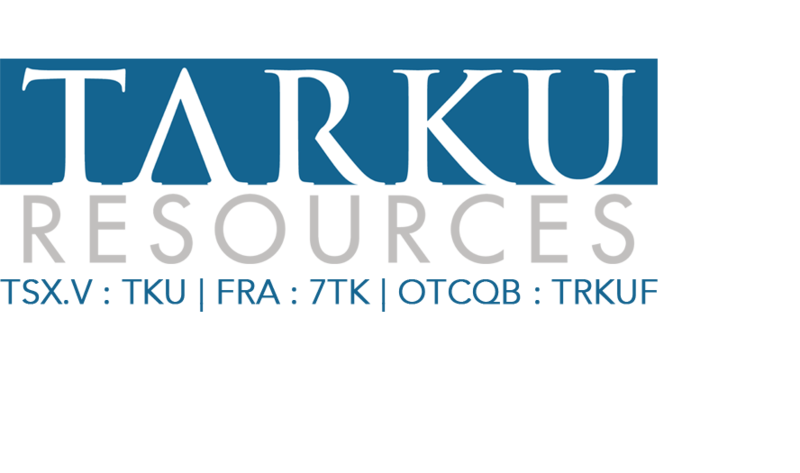 SASKATOON, SASKATCHEWAN--(Marketwired - Oct. 26, 2016) - Tarku Resources Ltd.(TSX VENTURE:TKU) (the "Company" or "Tarku"), The board of directors of Tarku Resources Ltd. has approved the grant of 2,750,000 stock options pursuant to the Company's Stock Option Plan. 2,250,000 of the options were granted to directors and officers, with the balance granted to members of the advisory board. The options are exercisable at $0.10 per share, and if not exercised, expire October 26, 2021, subject to earlier expiration in accordance with the Stock Option Plan and the applicable policies of the TSX Venture Exchange. Tarku Resources Ltd. is an exploration company focused on discovery in the mineral-rich Canadian landscape. The foundation of the company is based on an experienced management team with a track record of success. The goal of Tarkuis to provide success for shareholders through the implementation of strategic property acquisition, the use of proven exploration techniques and the exploitation of fertile ground. Management cautions that past results or discoveries on proximate land are not necessarily indicative of the results that may be achieved on the company's properties.